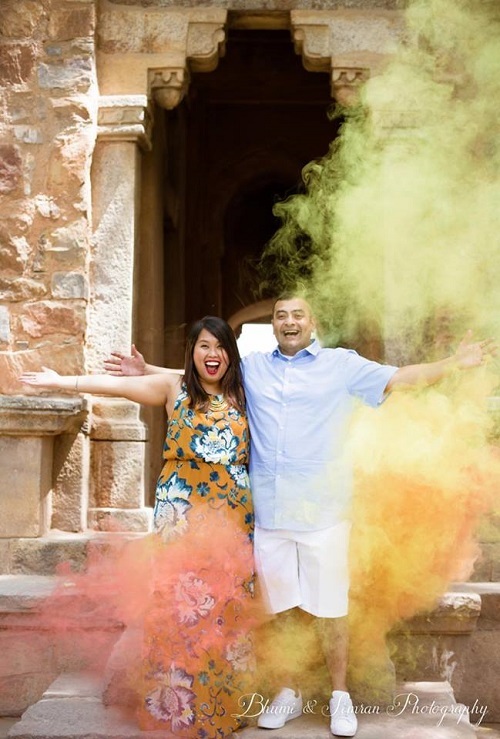 Here’s How To Add A Touch Of MAGIC To Your Pre-Wedding Shoot! 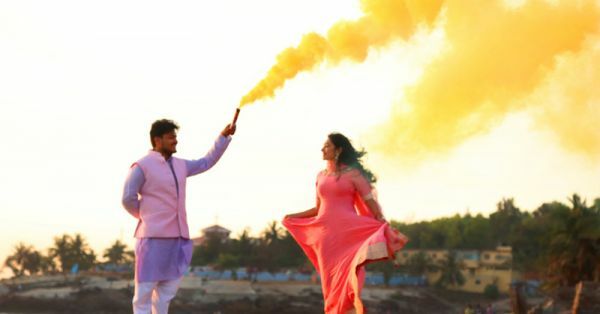 If you’ve been following us regularly, you must have already noticed this colourful and amazing new element in all the latest pre-wedding shoots. If not, then well, we’re talking about smoke bombs! 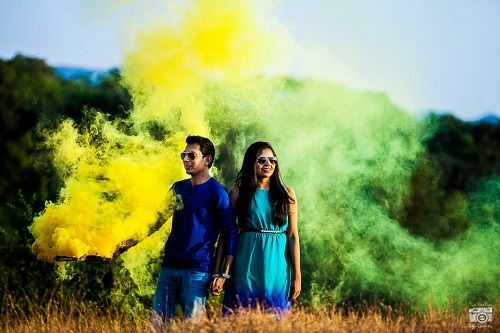 Pre-wedding shoots are getting more and more innovative by the day and it’s the props that make all the difference. And if you’re still wondering what the smoke bomb is all about...here are all the deets. So what exactly are smoke bombs? 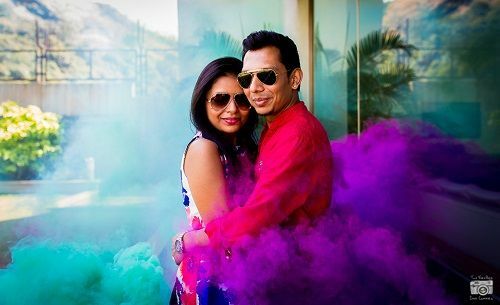 Essentially, it’s a stick that once lit, gives out soft colourful plumes to make your photographs look even more whimsical. Run along with a stick in your hand or just let the smoke surround you as you two share an intimate moment. This one tool, no matter how you use it, is sure to add that touch of magic to your pictures. Image: Confetti Films Also read: Gifts For In-Laws. Gifts For Guests. But What Do You Gift HIM? Your photographer is someone who’d definitely be able to arrange it for you. But for the DIY kind of brides, you can always pick it up here. Ideally, a smoke stick should burn for around one minute once you light it. That leaves you with plenty of time to strike a few awesome poses, right?! Image: Two Fireflies One Camera Also read: Planning A Destination Wedding? 7 Essentials To Keep In Mind! We love it! 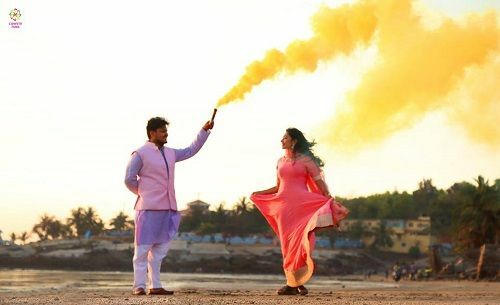 When it comes to pre wedding shoots, creativity is the key. 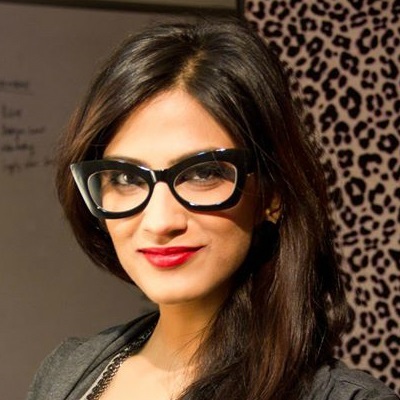 And we’d totally suggest you to try this trend while it’s still hot and happening!